I was looking for a (fairly) cheap meal to make the other day so decided to raid my store cupboard for inspiration. 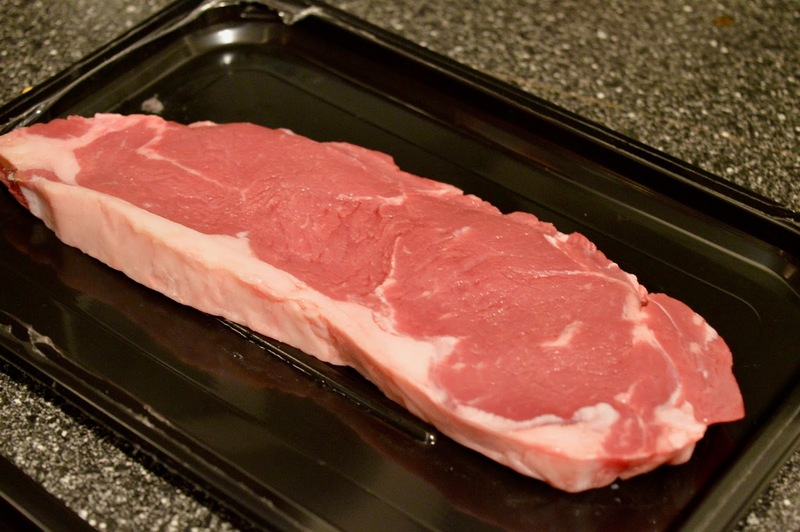 You will probably have most of the ingredients already, the only thing I needed to buy was the steak. 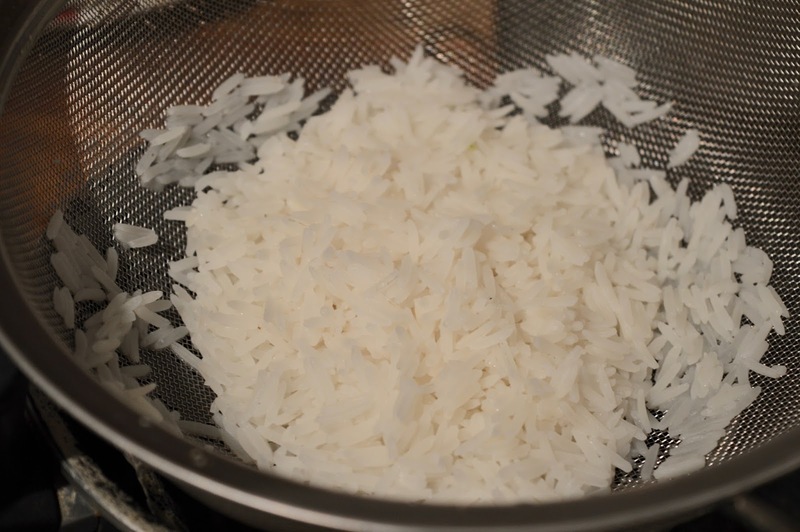 Start by boiling the rice for around 10 mins until all the water is absorbed and then set aside. 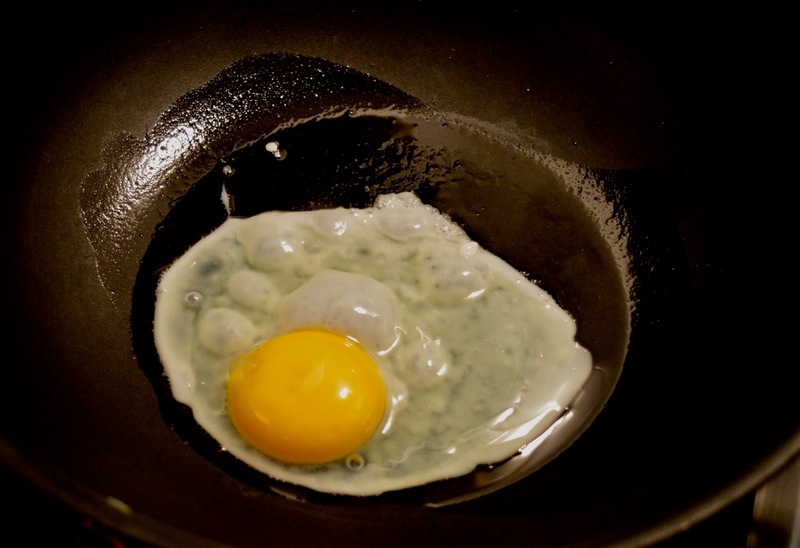 Heat some oil in a wok and crack in the egg and fry for around 30 seconds until it just starts to cook. 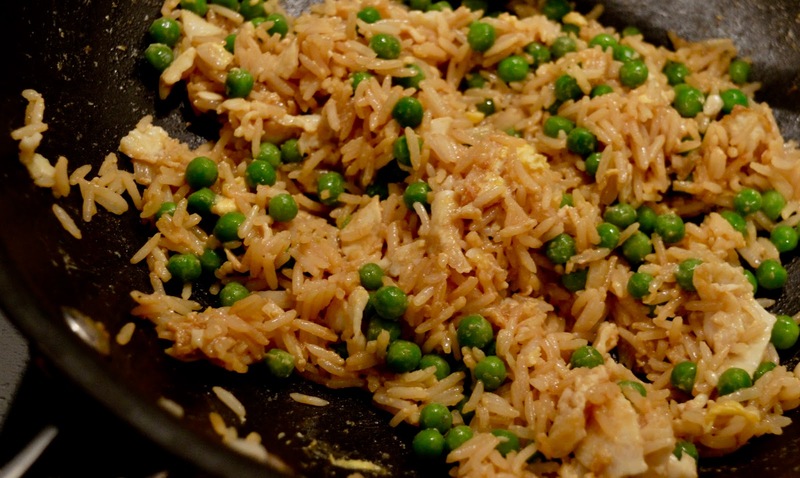 Next add the rice and a glug of soy sauce and mix until the egg is broken up then add some frozen peas and mix together. Let everything fry for a few mins until the peas are cooked and then taste (if needed add more soy sauce or some pepper). To make your sauce slice the garlic as thin as possible (I use a mandolin but watch your fingers). I a frying pan fry the sliced garlic in oil until it starts to colour and then add some more soy sauce this will make the fry for a few minutes until it reduces (for a extra richness add a small knob of butter). 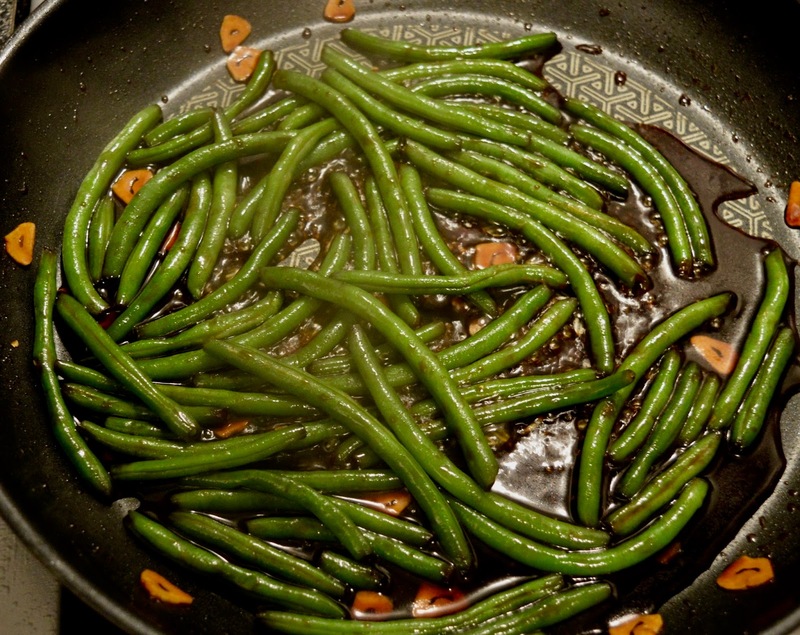 Add the green beans and fry for a few more minutes. 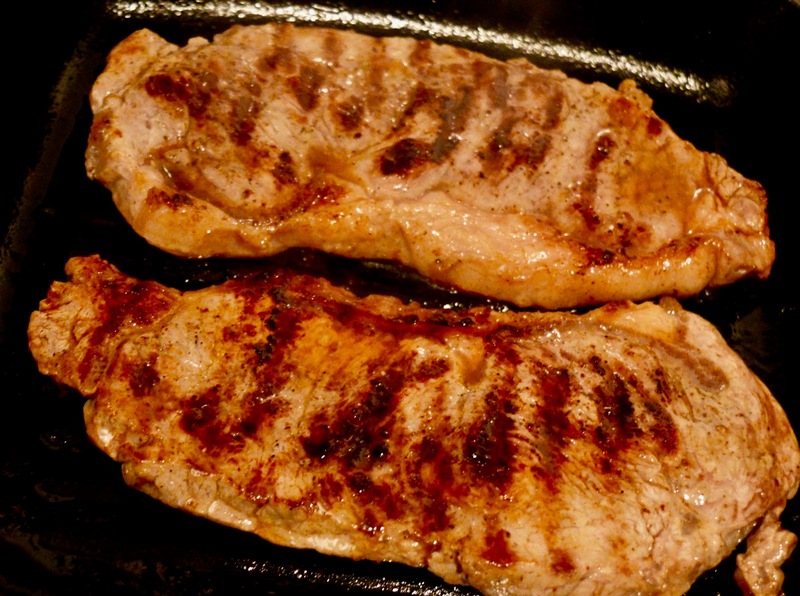 For the stark simply season with oil, salt and pepper and cook on a griddle until its done to your liking and then leave to rest. 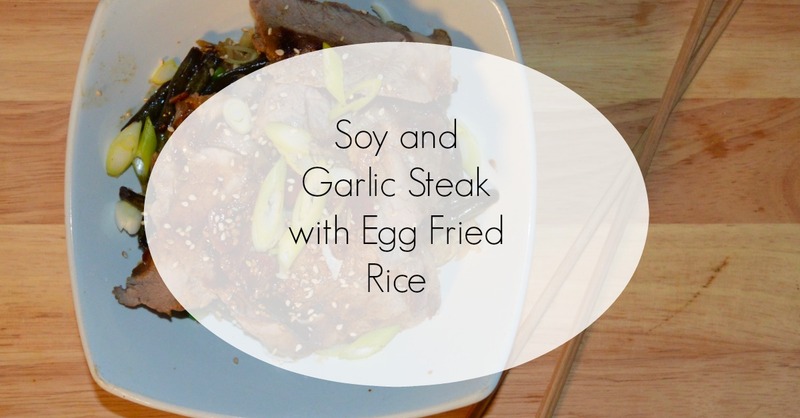 The serve this dish put a portion of the rice in a bowl and then add some of the green beans, next slice the steak thinly and layer on top and then pour over the rest of the sauce. 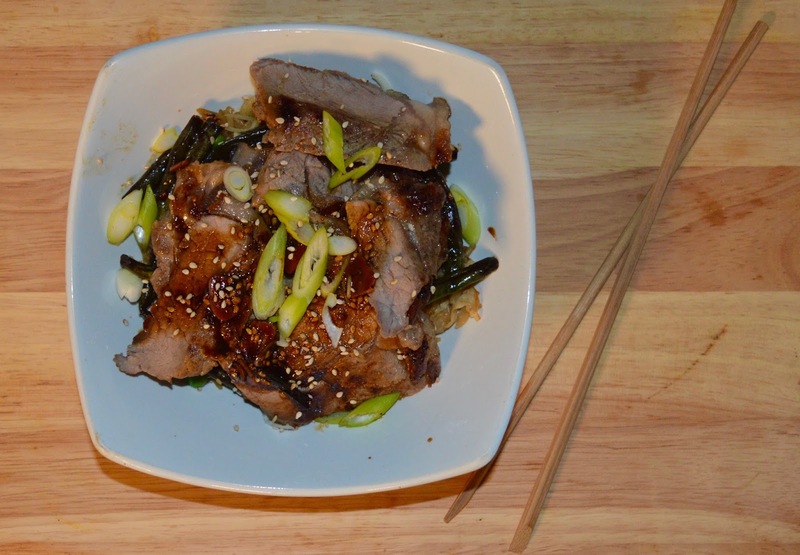 If you like you can garnish with sliced spring onion and sesame seeds. We had steak at the weekend £20 for 3 sirloin and they were tough as!! Where do u get yours from?